I hope you had a fantastic holiday season and that your new year is off to a good start. Mine was quite eventful: I got engaged, and am now squarely in the middle of the twin hectic excitements that are wedding planning and writing a doctoral dissertation. The New Year is a time of reflection and change, and as such, I have been reflecting a good deal about the events of 2015 and what this year will hold. After much internal debate, I have decided to take a hiatus from this blog until after my life settles down and I again have the time it takes to enjoy non-academic writing. This is not goodbye – I am, at heart, a teller of stories and builder of worlds, and I look forward to again sharing my thoughts on the subject with you all. But until then, may your words ever flow, may your hearts ever soar on the winds of good narrative, and may you drink deeply of new worlds, cultures, and characters, and be satisfied. Merry Christmas and a Happy New Year! I am taking a holiday break to enjoy my new books (and, you know, family), and hope you also have a wonderful time of relaxation and adventure. Happy stories! Still looking for Christmas gifts? A good book is always in style! For this week’s blog post, here’s a list of some of the really excellent fantasy and science fiction books I’ve enjoyed this past year. Some are new and some are old, but all were ones I would recommend to fellow lovers of good world-building and adventure. 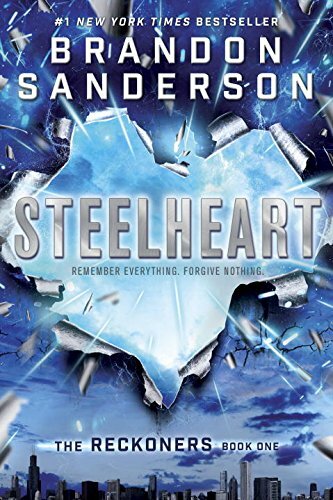 Steelheart and Firefight, books one and two of the Reckoners series. Basic plot: superpowers exist, but turn everyone who gains their powers bad. We follow our human protagonists as they attempt to take down the maniacal supervillains who have wreaked havoc on planet Earth, while exploring the nature of power and its ability to corrupt. 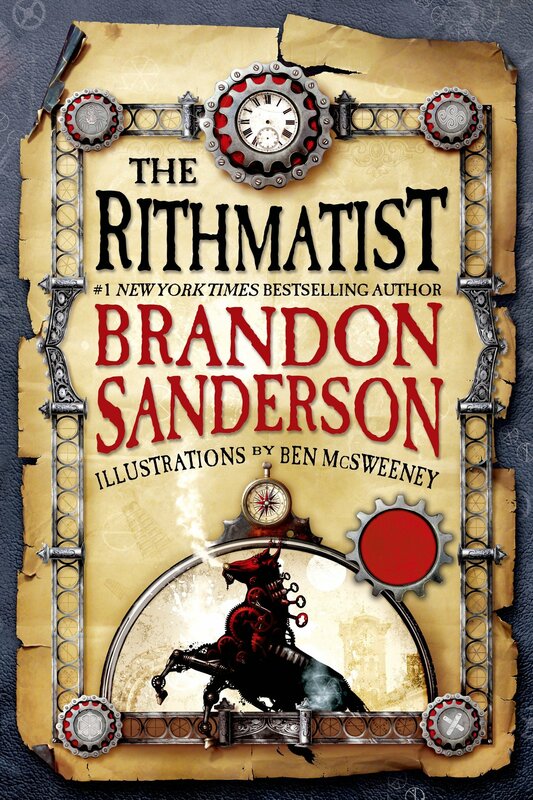 The Rithmatist, book one of a new series set in an alternate steampunk/magic universe where American universities teach their students to battle monsters using magical drawings made of chalk, and where the “wilds of Nebrask” hold unknown dangers that threaten to wipe out civilization. 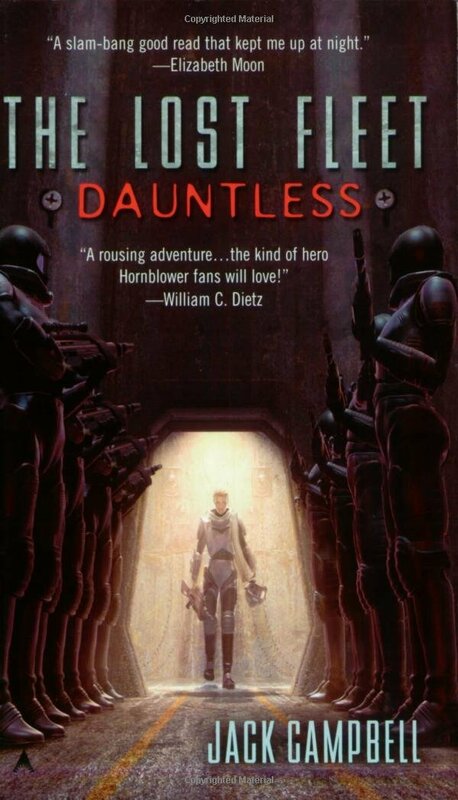 Dauntless by Jack Campbell, first book of the Lost Fleet series. This military science fiction series has the unique twist of following a main character who awakens from a century of sleep to find that he is renowned by his society as a mythological military genius. The series is heavy on the strategy of warfare in three dimensions, which may be considered either a plus or a minus, but has enough intriguing world-building and culture-clash issues (think George Washington being brought back to fight in the Civil War) that it kept me intrigued. 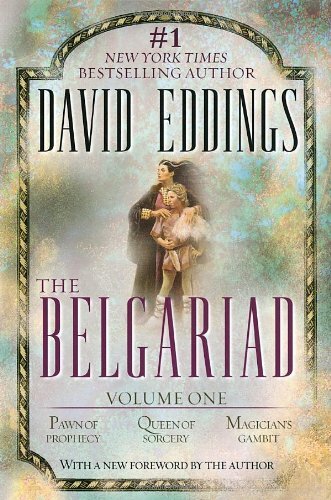 The Belgariad by David Eddings, a five-book fantasy epic. This is a favorite series of mine from childhood that I recently reread. It is a single story told over the course of five volumes, following the classic quest pattern of clueless protagonist who turns out to be the Chosen One, with plenty of magic, humor, intrigue, world-building, monsters, and prophecy to keep you turning pages until the end. Are there any particularly good fantasy or sci-fi books that you read this year? Share them below! A very happy Thanksgiving weekend to all of you! I hope that you are able to take some time this weekend to sit and read a good book; stories are one of the things I am consistently grateful for each year, and this year is no exception. Other things (non-exhaustive) I am grateful for are friends and family who put up with my odd fascination with the world-building aspects of fiction, and the fact that I will soon be done with my PhD coursework and will hopefully have time to do more fiction writing! With that, I am off to eat some more leftover turkey. Gobble gobble! (Imagine a world populated by turkeys…what would Thanksgiving dinner consist of?) Have a great week! Last week’s post covered the five main types of personal information that authors chose to share about themselves: their personal profile, their qualifications, craftsmanship information, unique value they added to their books, and unique aspects that differentiated them from others. There are three more things that authors tend to share about themselves that don’t fit with any other types of information. In other words, these three are important enough and different enough to stand by themselves. What are they? Whatever their personal brand is, and whatever other types of information authors share about themselves, it is unrelated to whether or not they help other people who are less far along in the field. This is good to know! On the receiving end, you can know that you likely won’t tend to receive help and advice disproportionately from authors who have one personal branding style than those who have another. Of course, the type of advice you might receive – or give, if you’re farther in your career – will likely be different based on the type of brand you have. People who are more open about themselves and their lives might give advice that encourages other authors to connect with their readers in personal ways, to create valuable relationships, and to always be authentic with their readers. People who focus more on craftsmanship might focus the advice they give to other authors to the realm of nuts and bolts of writing, editing, and publishing a book. In short, just because a person has a particular type of brand doesn’t mean that they’re more or less likely to be willing to help you out. On the flip side, if you have a particular image you’re going for, you don’t need to feel like you have to offer the same kind of advice or help to others as people do who have entirely different brand images. Figure out what makes most sense with the image you’re trying to portray! Passion has long been known to be a key defining element for entrepreneurs, artists, authors, and others who pursue a vision. Whatever people’s personality, whatever brand image they have, people are just as likely to show passion for what they’re doing. Why would it matter whether someone is passionate about their work? Well, for one thing, passion gives us cultural permission to talk about our work. It’s expected that people will talk about the things they’re excited and passionate about, so if you’re passionate about writing, about creating worlds, about crafting dialogue, or about making people laugh until they cry, you can talk about how you work to do that in your books and people will be willing to listen to you without feeling like you’re giving them a sales pitch. Another benefit of expressing passion is that it gives people a reason to trust us with their time and hard-earned money. If someone is passionate about the work they do, they aren’t likely to be trying to trick us. If someone is just doing a job to make money, we question the quality of their work. We anticipate that they’d try to cut corners, or that their work isn’t really better than anyone else’s. In contrast, creator passion is hard-wired into our brain as a heuristic of quality and trust. We like people who are passionate about their work. We trust them to do a good job – more than we should, actually. (There are many passionate authors who are not highly skilled and as a result, end up with disappointed readers.) But when you are of high quality, people expect you to be passionate about your work as an indicator of that quality. If you aren’t passionate about what you do, no one else will be. So don’t be ashamed of what you do – go out and be excited, and your excitement will encourage other people to take you seriously and check out your work! Interestingly, authors’ perceptions of how much their customers know about their personality was not influenced by other types of information that authors shared with customers. Personality, it seems, is different from the brand image you portray, from the qualifications you have, from the advice you give, the causes you support, and what sets you apart from others in your field. Personality is unique, and can be treated as such. As an author, you can decide how much to share about yourself separately from whether or not to let people know what you’re like as a person. It’s actually easier to express personality than it is to tell people more specific things about you or to build a focused brand – just talk with your customers for a few minutes, share a few updates on social media, or write an “about me” paragraph for your website, and your personality has the chance to come through. It doesn’t have to. Some people choose to be strictly professional online, and to not let readers know what they’re really like. That’s okay too. But whatever you choose, whether or not you display your personality doesn’t have to be linked to the type of brand image you display. As you build your brand, think about these three factors that are independent of other types of information you might choose to reveal about yourself. How much do you want your readers to know about your personality? What, specifically, are you passionate about? Do you want to be known as someone who gives back to the community and helps others? If so, how do you want to incorporate that into your brand? Leave a comment below with your thoughts and experiences! As an author, building a personal brand requires that you share some information about yourself with your potential readers. In previous weeks, we’ve discussed the types of personal brands that can be built and the motivations for building a personal brand. But whatever your motivations and goals are, the fact of the matter is that you need to actually get out there and tell people information about yourself if you’re going to establish a clear image of yourself as an author. Different authors, of course, have different types of information that they are willing to share about themselves, and different facets of their lives that they want to keep private. After interviewing a number of authors, we found over twenty-five different categories of things that they could share about their lives with customers. Using statistics,* however, we found that this personal information could be categorized into five different dimensions of how authors and other creative entrepreneurs tended to share information. Authors could share any or none of the information detailed below, but the people who tended to share one specific thing in a dimension also were more likely to share the other type of information in that dimension. So what are those dimensions? Let’s take a look. Dimension 1: Basic profile and customer targeting. Most people built their personal brand on being friendly and emphasizing ways in which they are similar to their customer base. This could be general similarity (e.g. lovers of fantasy, mothers) or more specific similarity (e.g. religion, profession, hobby). These individuals also tend to act, look, and talk in a specific way that represents their goods and services, talk to customers about their values and principles that are non-controversial, and tell their readers about inspirations for their books. Dimension 2: Non-work related information. This smaller subset of individuals views their personal brand as a platform for sharing themselves and their beliefs, even if it drives some people away. These people like to raise readers’ awareness about important issues, tell people about the causes they support or donate to, mention the struggles or hard things going on in their own lives, reveal beliefs that may be controversial, and talk about their hobbies, family, and personal interests that don’t relate to the books they sell. Many authors reveal to their audiences the process behind their writing. In this dimension, authors choose to share the amount of time it takes to write their books, the skillset it takes to be a writer, the training they have had (apart from actually being a writer) that makes them good at what they do, and the actual process by which they write books. Authors who choose to share this dimension of information pull the curtain back on the writing process, so to speak, and give their readers a detailed look into the mechanics of how they create worlds and bring them to life. Dimension 4: Author’s Added Value. Authors who share this dimension of information talk about how their unique quirks, beliefs, and feelings make them and their books different. Their brand may focus on emphasizing their unusual interests or personal characteristics that make them different from other writers, showing how their personal beliefs, opinions, and emotions are seen in their books, and explaining how their books stem from who they are and their background. For instance, while you don’t need to know anything about sociology to understand or enjoy my novel The Quest of the Unaligned, the fact that I was a sociology major in college and wrote it to examine how different sociological theories would work in practice sets the book apart from other fantasy quest stories you might find in a bookstore. Interestingly, choosing to emphasize your experience as a writer and how well-trained you are in your field is its own dimension, and not part of the basic demographic dimension above. This may be because some writers don’t have any official training that they can talk about, whereas everyone can talk about how they relate to their customers. Writers who do have experience and training, however, tend to mention this as part of their brand. It is worth noting, however, that having qualifications doesn’t give you a strong brand on its own. People want to know both that you’re good at what you do, AND that you’re the kind of person that they want to buy a book from. In addition to these five dimensions, there were three other things that people tended to share that didn’t fit with any other pieces of personal information. We’ll talk about those next week, so stay tuned. In the meantime, however, reflect on the type of personal information you choose to share with your customers. Which dimensions most reflect your personal brand? Why have you chosen to share those dimensions in particular and not others? Comment below! *Exploratory factor analysis (principal components analysis) of 26 items resulted in eight factors, three of which had only one factor loading at the .5 level or greater. The remaining five are discussed above. Over the last few weeks, we’ve been discussing authors’ motivations for incorporating personal information into their brand, or the way in which they present themselves to potential customers. Why would authors share different types of information about themselves with readers, and what types of information do they share? We’ve talked about authors who build a person-focused personal brand, a product-focused personal brand, and three of the four motivations for sharing personal information: establishing competence, building trust, and adding product value. The last motivation that authors have for sharing personal information with customers is differentiating themselves from competitors. If you are writing and selling books, your competitors are all other writers that your target market (potential readers) might choose to buy books from instead. We all know that there are thousands of people every year who write and self-publish their work. There are hundreds more who are published by traditional publishing houses and have professional marketing help to promote their works to the public. All of them want people to read their books, just like you want people to read yours. So even if you’ve written the best book of the year, how likely is it that readers who would like your book will pay attention to you long enough to give your book a shot? That depends on how much you stand out from all the other writers in your space. So how do you stand out? One way is through sharing personal information. No one else has your unique story and background. No one else has your unique set of interests, quirks, and personality traits. If you flip through the author pages of ten different fantasy authors, you might read that some of them are married, some have a dog or a cat, and so forth. But then let’s say you read about an author who lives on a house-boat and writes books while sailing across the Pacific Ocean. Huh. That’s different. That catches your attention. And that’s the point. Catching a reader’s attention is the first step to their stopping to actually read about the books you’ve written. Many authors, then, try to use their unique life story information to stop browsing readers in their tracks – or just to stand out in the reader’s mind if they’re trying to find you again in the future. “I read this fantastic book by a small-press author,” a reader might muse a year after reading your book. “I don’t remember exactly what the title was, but I remember that the author was a retired police officer who is a prize-winning rose gardener.” With that information, your reader can likely look you up and find out what else you’ve written. Similarly, unique or specialized information about you can make you uniquely attractive to a specific market segment. For instance, pastors’ wives can uniquely reach other pastors’ wives with books that are relevant to their unique struggles. Career military who are also writers can more easily sell their books to other people in the service, because they come from a similar background and seem like family. For me personally, my background as a homeschooled student from K-12 has helped differentiate me to the homeschool community from the other myriad of fantasy novelists in America, and has led to offers of speaking engagements and more sales of my book than I would have had otherwise. How are you different from other people who write your genre? What unique life experiences have you had that don’t really impact the quality of your book, but might make you stand out to customers? What groups are you a part of that you could speak to about your experiences as an author, or what types of people might uniquely resonate with your unique background and point of view? The answers to these questions might help you identify parts of your story that would be useful to share as part of your personal brand. Dress up as the villain from their latest novel, then knock on the door and say that you don’t like the ending he or she gave you and that you have made your way to the Land of Authors to seek revenge! Dress up all in blue, and when anyone asks you what you are, say, “The blue screen of death! You have encountered an unexpected error. Your computer is restarting. All unsaved work will be lost.” End with an evil laugh. Take even more advantage of the power of literary foreshadowing! Get three separate friends to each tell the author a story about a dream they had, where they were interacting with something black [a black cat, a blackbird, eating blackberries…] and suffered a funny-but-horrible tragedy. Then show up to the author’s house wearing all black and ask if the author wants to go do something fun. Mention that you had a “feeling” that you ought to wear black today. *Scariness not guaranteed. Potential authorial reactions include but are not limited to yelling in Elvish, activating zombie defense systems, or playing along and railroading the joke until you’re terrified that something is actually out to get YOU. Be warned.